I turn my good side to the sun. Its healing vibes, they burn inside out. The Chase, the first album by Montreal band Groenland, was released on April 16th, 2013 through Bonsound. 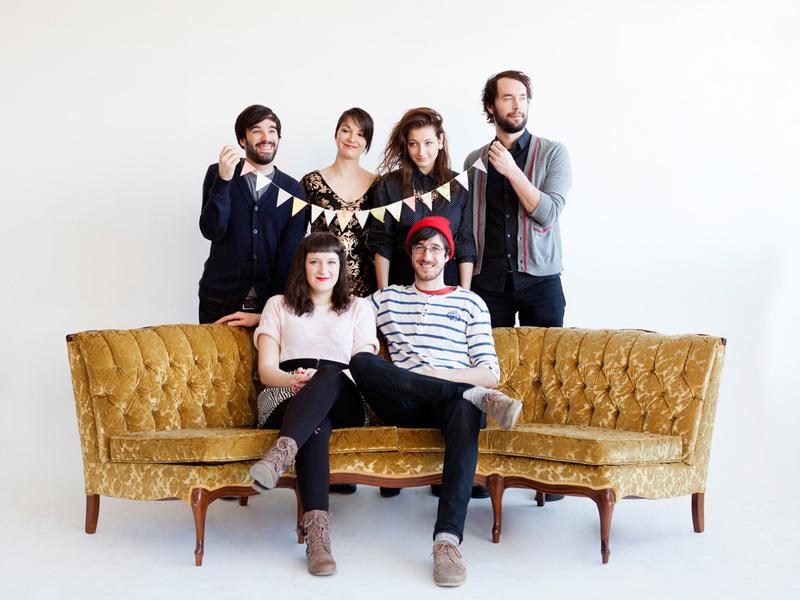 Formed by Sabrina Halde (lead vocals, ukelele, keyboards, percussions) and Jean-Vivier Lévesque (keyboards and programming), the band's music is made up of warm orchestral indie pop tunes with a touch of electro. Produced by critically-acclaimed Quebecois singer-songwriter Philippe B and Guido Del Fabbro (Pierre Lapointe), the opus is the realization of the band’s long-standing dream. It was during the fall of 2011, while sharing a bunker in Toronto, that Sabrina and Jean-Vivier solidified their common desire to put together a band. "At the beginning, we wanted to do electro music, but we found that kind of boring," says Jean-Vivier. "So we decided to add more and more fun instruments to the mix." That's when Jonathan Charette (drums), Simon Gosselin (bass), Gabrielle Girard-Charest (cello) and Fanny C. Laurin (violin) joined the ranks of the band. Having performed a few times this past year, most notably at events like Pop Montreal and the MEG Festival, the songs of The Chase have been reshaped and polished with the help of the co-producers and Sébastien Blais-Montpetit (Patrick Watson, Radio Radio), who recorded and mixed the record. The addition of Guido’s string and wind arrangements ground the electronic accents and elevate Sabrina’s resonant, melodious voice. "The Chase is the pursuit of an ideal, the desire to be in constant evolution, our tendency to put ourselves in danger to understand what we're made of," explains Sabrina. "It's also about taking risks, for our own self, alone or with someone."